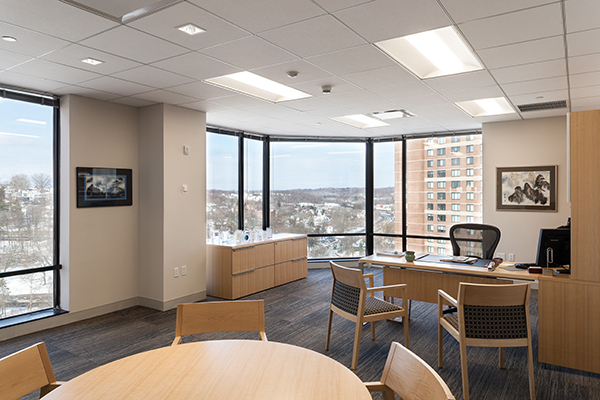 True North’s office is located on the top floor of the building, offering views of Whir Plains, NY. 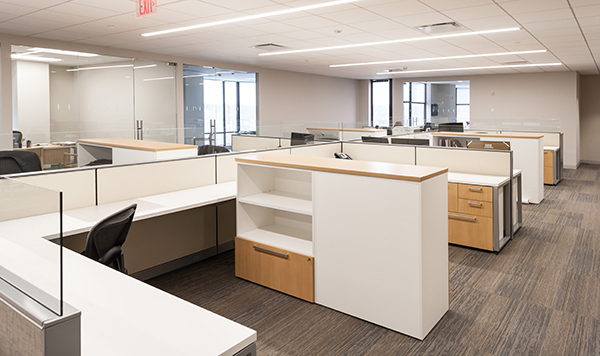 The exterior views and sunlight, are available to everyone in the office. 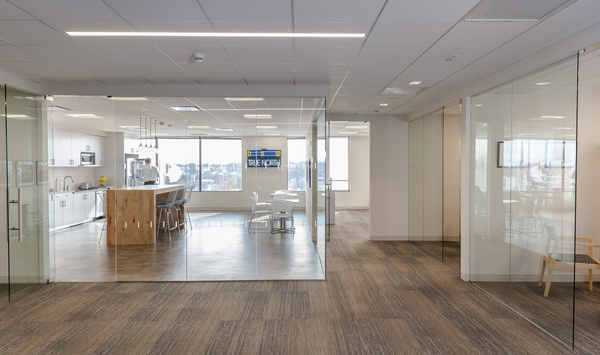 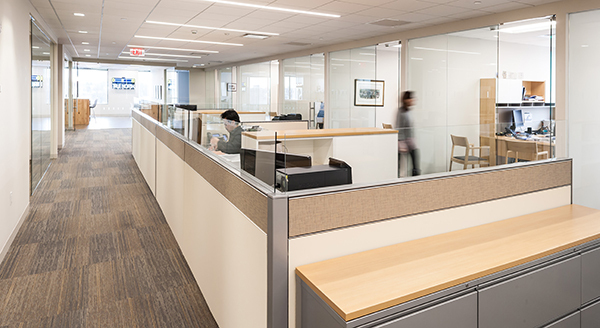 Team members are accessible to each other, with glass front offices and low height partitions. 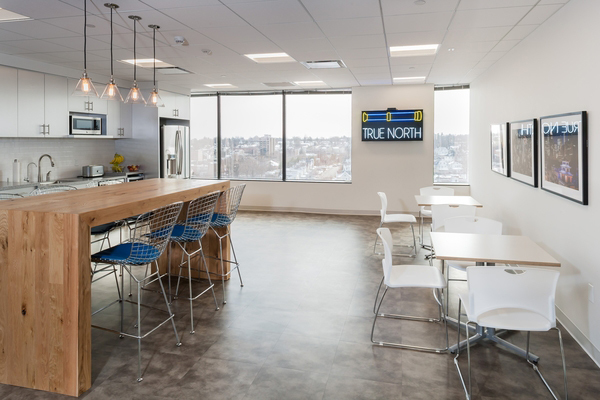 The True North Café invites clients and employees to a bar height communal table, where everyone partakes in the display of pastries and coffee. 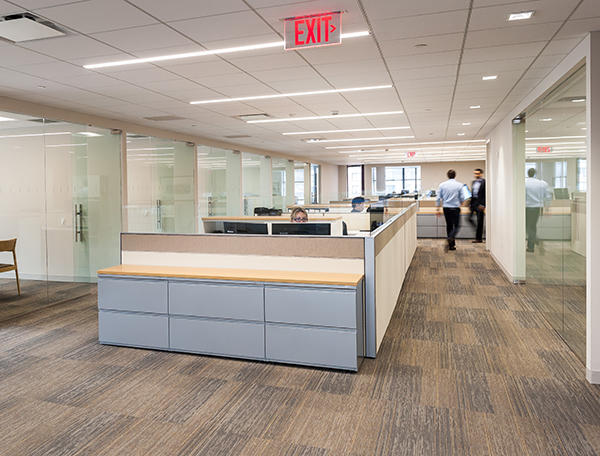 It is also a good space for informal meetings.